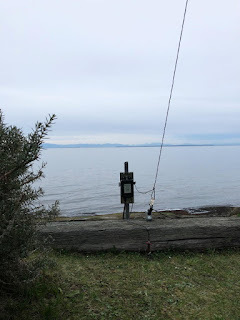 Hi Steve–sounds like a pretty effective antenna you built up for the low bands–I hope you using a proper pi or pi L network for tuning it & not relying on the modern day ferrite transformer tuning—can assure you a proper coil condenser tuning works very well on these end fed antennas. Great job, Steve. 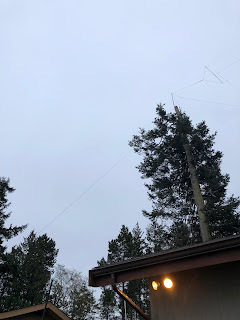 I have two EFHW’s (commercial units from myantennas.com) – one for 80 through 10 meters and the other (in a perpendicular orientation)for 160 through 40 meters. The EFHW16040 is an inverted L, while the EFHW8010 is a straight line up around 50 feet. Fantastic antennas! In my case, I have approximately 50 feet of RG-213 going to each, but no additional counterpoises. The EFHW16040 is grounded at the transformer (no change in SWR with or without ground), while the EFHW8010 is not (transformer box at 35 feet in the air). I needed to add an additional coil (approx 12.5 uH) about 30 feet from the feed point on the EFHW16040 to get 60 and 40 meters to resonate. Thanks for the information on the EFHW wire antennas. Except for a mag loop indoors,I use nothing but the end fed antenna outdoors. Thanks for your comments and good luck Gary with your new antenna system!